For service data centres (SRZ), transferring customer payments to banks could be a simple matter. But when SEPA was introduced there were a few additional requirements that must be complied with. 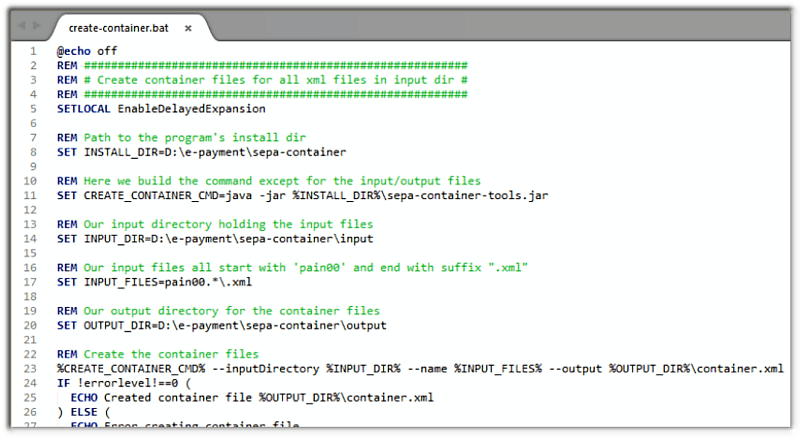 With the SEPA container tool you no longer have to worry about creating correct container files and can concentrate fully on your processes. 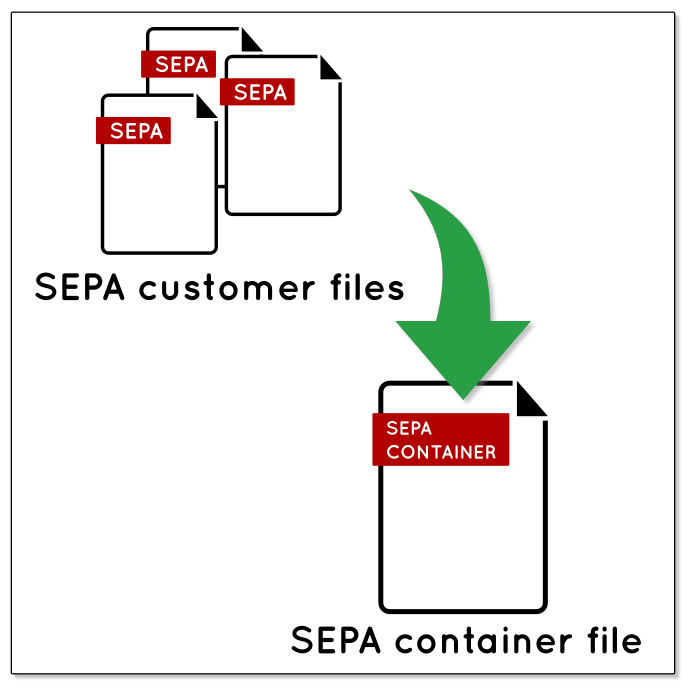 No matter which SEPA format version your customers use, the SEPA container tool creates the right files for you. After merging XML files, you need the correct hash value to create a valid SEPA container file. What on the one hand is a big advantage of XML files, becomes on the other hand a problem: the flexibility of the formatting. Two XML files can, for example, be considered the same if the only difference is the use of spaces and line breaks. This and other special features do not make hash value calculation any easier. 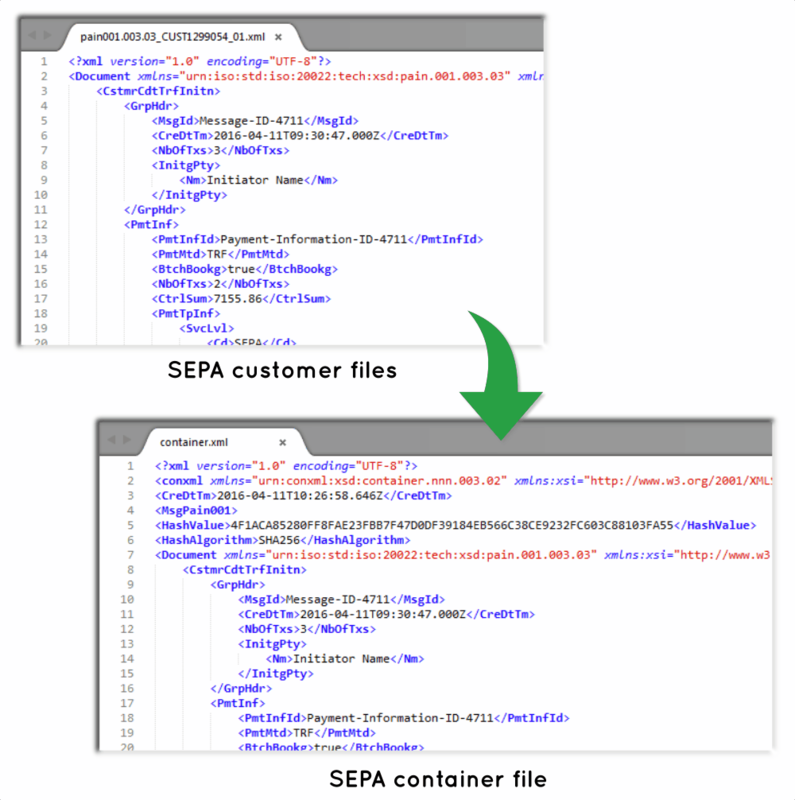 With the SEPA container tool, you avoid all of the traps and do not leave the correct detection of hash values for all characteristics of customer files to chance. The program runs under Windows®, Linux® and Mac OS® and can be integrated into any system environment thanks to the easy installation. By invoking via command line, using cron job/scheduler, by script or from other programs, the software is ideal for integrating into the company’s business processes. The BL SEPA Container Tool can be purchased directly from Business-Logics for the price of EUR 3,900 (net).